To be honest this book was a little hard for me to get into .But then I’ve been reading a lot of kid’s books and Mystery adventure types. Could be I’m just not one of the “Smart” people. Once into it I think I got it. I feel it’s more about why people (smart or not) do what they do and how they cope. According to the author its “Meaning” in your life What it is, how to get it, What prevents you from it . Whether it’s the child that’s bored in school because it’s not challenged enough or the accomplished intellectual with the advanced degree’s and professional accomplishments (and the money) finds that the best part of her life was staying home with her child. So the Hurt here is more about the challenges people face and how to get though them and avoid the stress and “pain” and find meaning in what you do. I’m a bit turned off by the title of the book to start with. 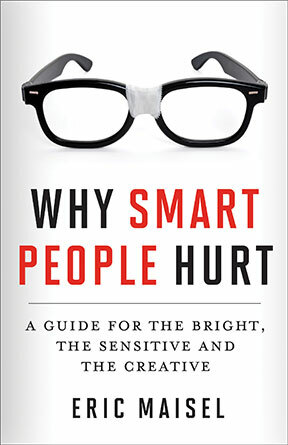 This book does say it’s about smart people and although they may have special challenges finding their meaning I can’t help to mention everyone has challenges and stress. To say a PHD or scientist cant find “meaning” in his work or life? What about the High School graduate or drop-out looking for meaning while trying to support his family? The examples I see in this book can apply to most people smart or otherwise. We all have an idea of what the meaningful life would be this book just tries to get you there.